Founder Pastor Walter Lang found many of the young Christians in his congregation abandoning their Christian roots after spending a year or two in college. “Could this be happening in other churches around the country?” he wondered. It was. Lang decided to do something about it. Lang saw a problem and did what he could to solve it. Today, every Christian creationist organization owes a debt of gratitude to Lang’s vision. We know, however, that his work is not complete. Every day, evolutionary theory is taught in public schools, confusing the hearts and minds of young people. It dismantles the faith the godly parents have sought to instill in their children. Instead of “Train up a child in the way he should go.” (Proverbs 22:6), evolution promotes the secular humanist dogma that “God is dead; religion is an opiate.” In the end, evolution seeks to dislodge God from His rightful place as our Creator and Sustainer. From Walter Lang’s simple vision, Creation Moments now serves Christian youth and adults alike. We are committed to promote, teach and study creationism theories and the truth of divine creation as revealed in the Bible. It is our goal to build up the Church and enlighten the world to the wonder and the truth of God’s marvelous creation. We hope you will join us in this important mission. Together we can reach the hearts and minds of a lost and needy world! 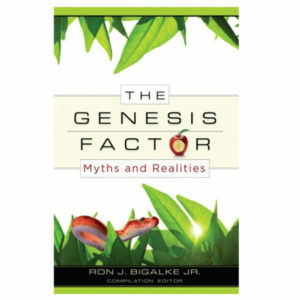 Since 1963, Creation Moments, Inc. (formerly the Bible-Science Association) has been communicating the truth of creation. That ministry continues today through Christian radio broadcasts, seminars, publications and a bookstore outreach. In 1986 the two-minute international Christian radio broadcast “Creation Moments” was born. “Creation Moments” is one of the top five US syndicated radio programs of five minutes or less. “Creation Moments” is carried on five major networks: Bible Broadcast, Moody, LifeTalk Network, Family Radio and Bott Radio.